Should States That Bar The Most People From The Polls Be Allowed To Pick The Next President? 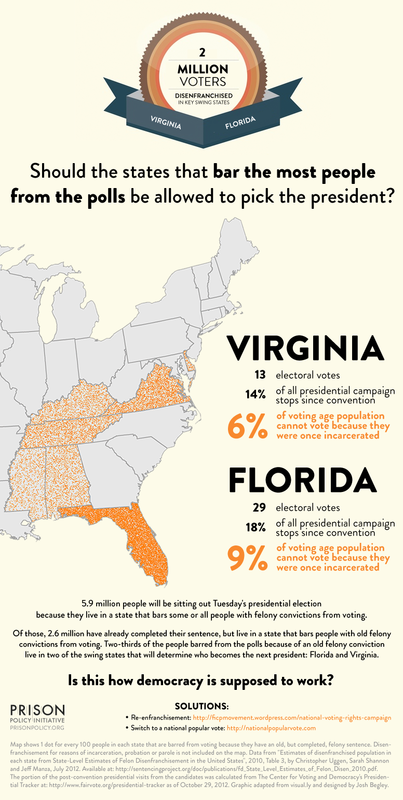 Two million voters disenfranchised in key swing states. Something to think on this week and next.